C. D. 0LLIER: Weathering (Geomorphology text 2). - Oliver and Boyd, Edinburgh 1969, 304 s.
FRITZ MACHATSCHEK: Geomorphology. Edited by H. Graul and C. Rathjens. Translation of 9th edition by D. J. Davis, edited by K. M. Clayton. - Oliver and Boyd, Edinburgh, 1968. 21 2 s. og 87 figurer. Pris: 75 sh. BENTZ, A. 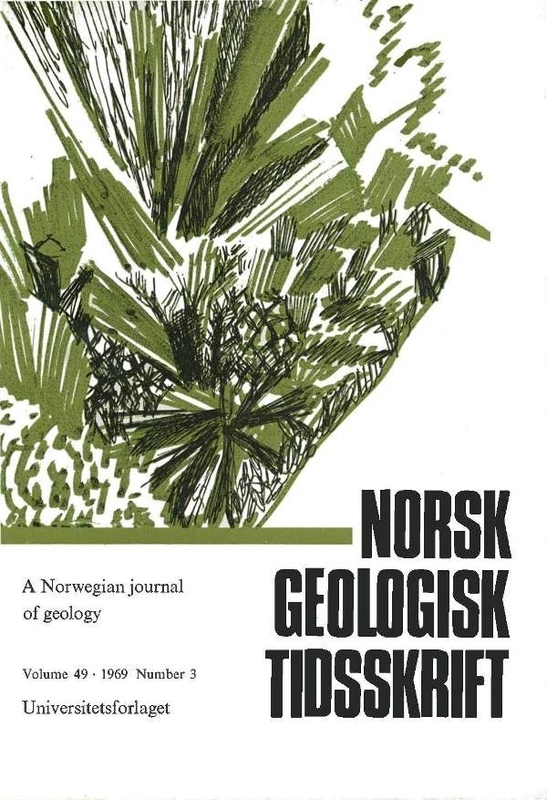 & MARTINI, H. J.: Lehrbuch der Angewandten Geologie, Band Il. Teill: Geowissenschaftliche Methoden.- Ferdinand Enke Verlag, Stuttgart, 1968. 1354 sider med 457 figurer og 122 tabeller. Pris DM 243.-. THORARINSSON, S.: The Eruptions of H ek/a in Historical Times. A Tephrochronological Study. Appendix: Mineralogica/ and petrographical characteristics of leelandie te ph ra by Jens Tomassen. - Visindafelag islendinga, Reykjavik 1967. 183 p. Pris Isl. Kr. 250,-. JOHN A. MAXWELL: Rock and Mineral Ana/ysis (Chemical Analysis Vol. 27). - Interscience Publishers, New York, London, Sydney, Toronto 1968. 584 sider, 8 figurer, 22 tabeller. Pris kr. 229, -.